There's a heart to the music scene of the grand metropolis that is Berlin, Germany, and it beats in the district of Kreuzberg. Long populated by a hybrid of artists, a wide mix of immigrants and local originals, Kreuzberg became the chosen home for industry movers and shakers after the fall of the Berlin Wall, which had separated Western Kreuzberg from the Eastern neighboring district of Friedrichshain. Kreuzberg is also the home to a wide variety of recording and mixing studios, from small project studios to world-class facilities such as Freudenhaus Studio. Tucked away in one of the "Hinterhöfe" (back court-yards) of this old imperial working-class district, Freudenhaus Studio is the sonic playground of renowned German Music Award "Echo" winning producer and engineer Patrik Majer. Patrik Majer learned his chops in the classic recording studios of Berlin, and proceeded to provide the sound foundation and production advice for a slew of national and international pop royalty including Wir Sind Helden, Nick Cave and the Bad Seeds, Marc Almond, Saint Lu, Tele, Nina Hagen, Philipp Boa and the Voodoo Club, Rosenstolz, No Angels... He patiently built up a studio that could accommodate his manifold production duties and fulfill his sonic expectations along the way. 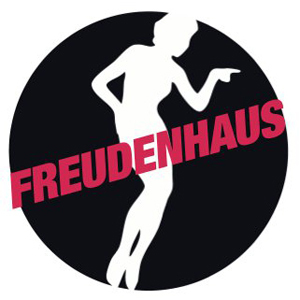 Freudenhaus Studio (literally "house of joy", but actually the German version of "bawdy house") is the result of this effort. It effortlessly combines the ease of digital recording with the tried and trusted foundations of the analog world, from a wide selection of microphones, to a state-of-the-art recording console, to analog tape machines that can effortlessly be inserted into the digital work-flow. Freudenhaus Studio and their experienced staff will help you realize your projects. You'll also be able to enjoy the energy of Berlin at its fullest without having to compromise the focus and comfort of your personal work flow. Restaurants of every kind and nationality can be found within a five-block radius from the studio door. Accommodation is plentiful, everything from rented apartments to five-star hotels that will fit your style and budget is located near-by. See you soon at Freudenhaus Studio.